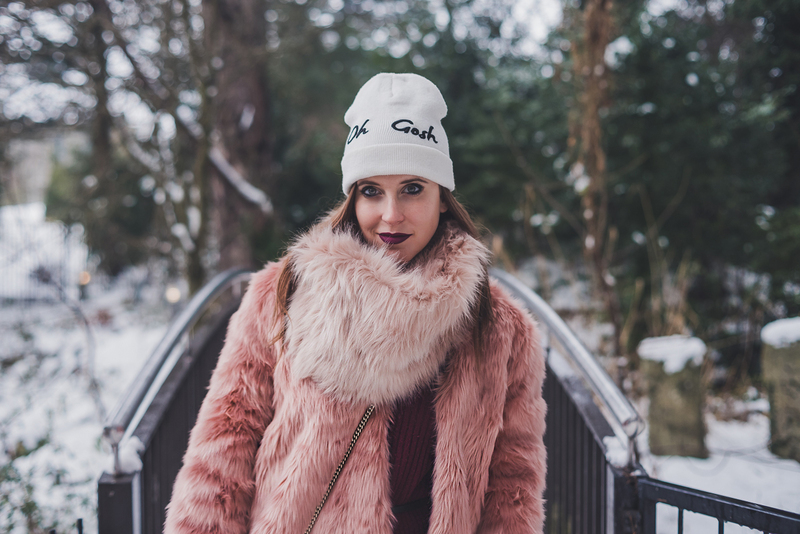 After I showed you how to dress in a gray rainy day (basically pink, but also in a colorful way works), today I will show you how to dress in the snow – when you do not have to go skiing, of course. Guess what color did I choose for my look? Acid green! You believed it, didn’t you? No, come on, no jokes, I chose pink. 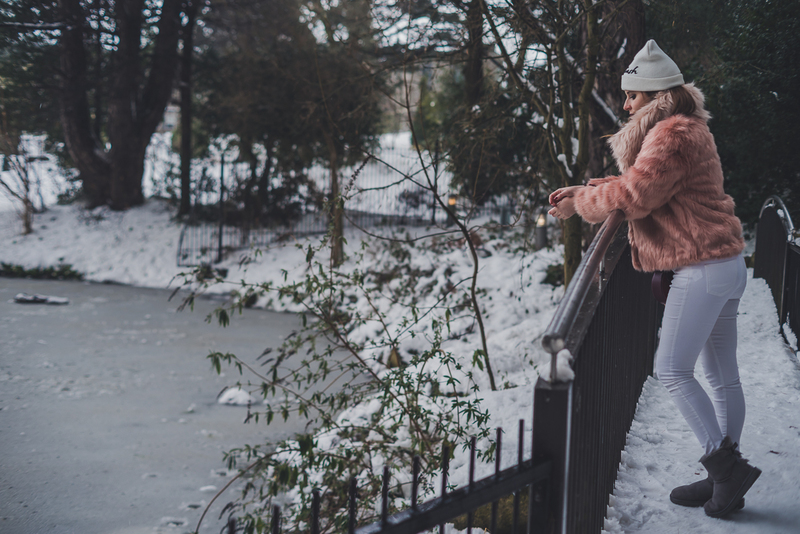 The trick, with so low temperatures, is not only dressing with layers – which certainly helps – but also to dress in an intelligent way. Let’s start with the underwear: I bought a delicious thermal t-shirt from M&S here in Dublin. From the outside it is a classic embroidered, light gray t-shirt, but inside has a fleece linen that helps maintain body temperature. Upon that, I wore a wool sweater with a thin high neck in Burgundy shades. On top of all, my lovely pink faux fur. 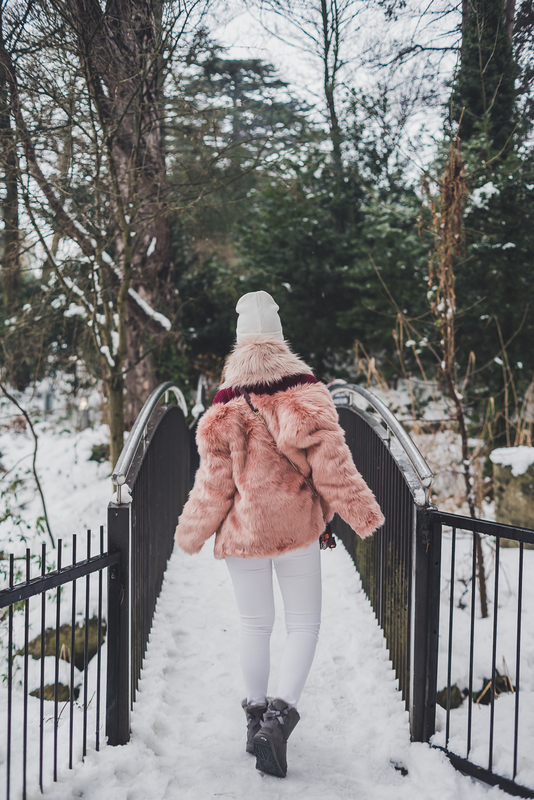 The fur itself is not the warmest fur I have, I have to say, but with the precautions I took for the layers below, I can safely wear it, so that gives me that extra warmth that still makes the difference. 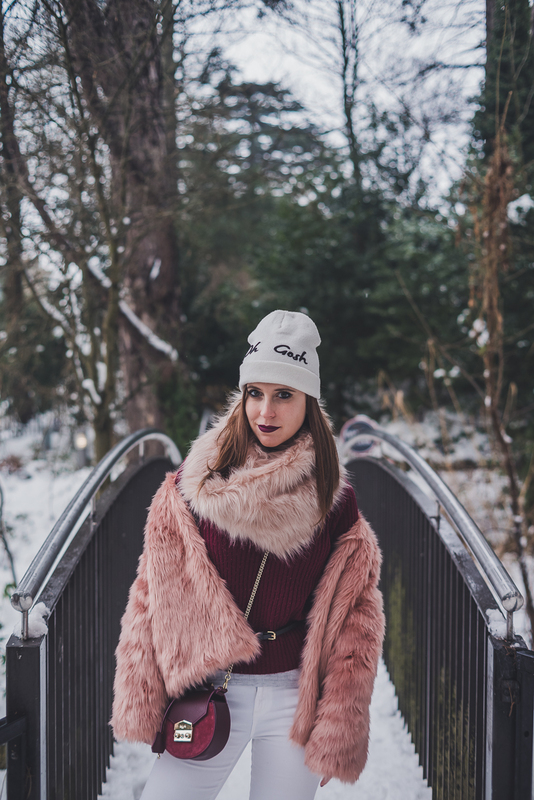 As a scarf, I opted for a super-warm fur collar of a different pink shades that blends perfectly with the entire outfit. At my feet, I wear my adorable UGG, short and gray with a bow behind, to make them more feminine. The UGGs are perfect for a cold day of snow, since they have a fur lining. But be careful! They are ok only if the snow is solid and compact. This model of UGG is not waterproof and if you go in the middle of the melted snow or in the puddles, you risk the chamois to be ruined. 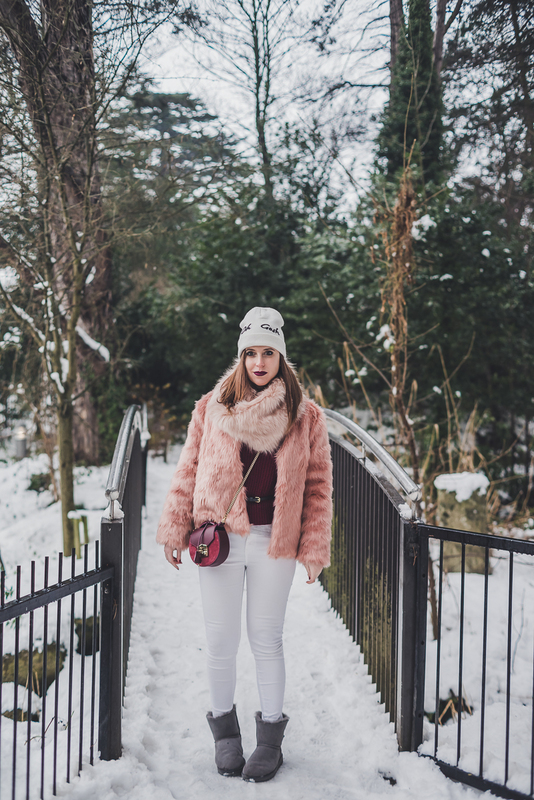 To complete the look, I wore my Salar handbag with the same burgundy colors of the sweater and I framed it all with white, to recall the snow: white trousers and white hat. One more tip: you have to consider that white trousers are perfect if you have to go somewhere indoors or if you have an appointment and want to be nice and cool, but do not wear these pants if you want to stay all day in the snow, since the snow tends to dirty clothes and on white trousers everything can be seen instantly. And you, how do you dress in the snow? Good snowfall everyone! PS here is now almost completely dissolved. Shop Black Booties Heels, Sam Edelman Flats, Heel Booties, Blue Shoes Flats and more. Get this widget.